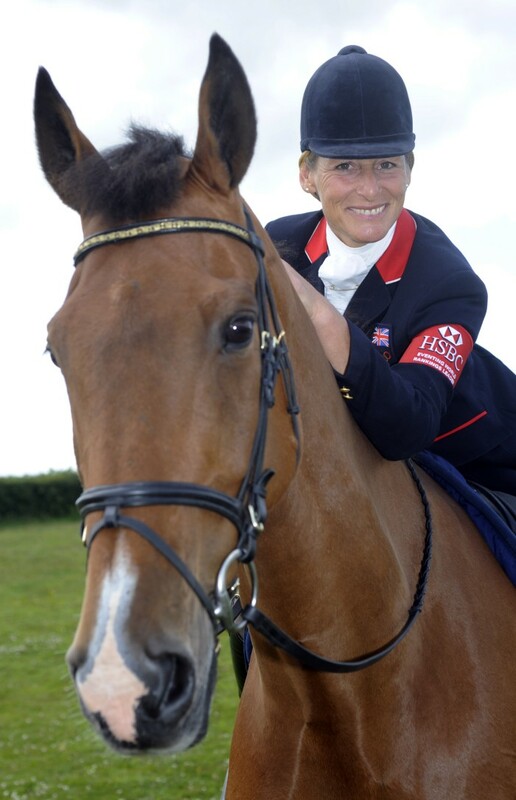 Mary King (GBR), the first rider to wear the red and white armband featuring “HSBC Eventing World Rankings Leader”. HSBC, in partnership with the FEI, has created a rider armband to identify the current leader in the HSBC Rankings. The red and white armband featuring “HSBC Eventing World Rankings Leader” will be debuted by Mary King (GBR), remaining with her for as long as she stays at the top of the HSBC Rankings. The armband will be passed on if King is overtaken in the rankings. In a further initiative, the rider at the top of the HSBC Rankings at the end of the 2011 Eventing season will receive a 50,000 USD bonus. Mary King, Rolex Kentucky winner and runner-up, currently leads the HSBC Rankings with 634 points – a single point ahead of compatriot William Fox-Pitt (633). Andrew Nicholson (NZL) is third with 506 points. As the HSBC Rankings are announced on the first day of every month, all eyes at the beginning of August will be on who will be wearing the new armband at the HSBC FEI European Championships 2011 in Luhmühlen (25-28 August). The HSBC Rankings were launched in 2008, when HSBC became the global sponsor of FEI Eventing. This latest initiative follows HSBC’s decision to renew its support for a further three-year term to include title sponsorships of HSBC FEI Classics™ until the end of 2013 and of the HSBC FEI European Eventing Championships in 2011 and 2013. View the HSBC Rankings here and read about HSBC’s involvement with the FEI and equestrian sports here.